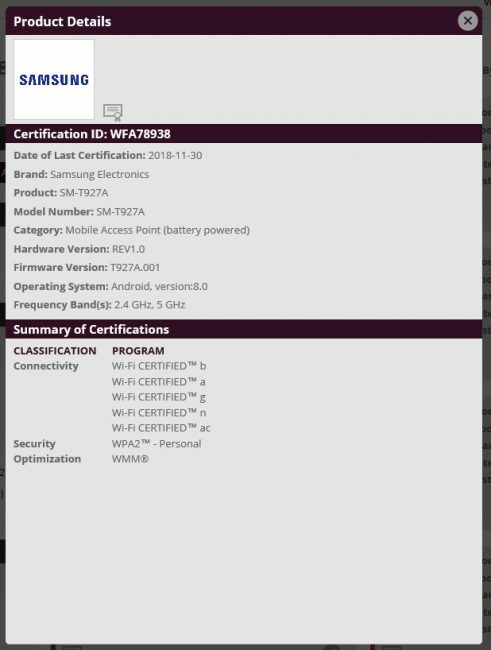 The Samsung Galaxy View II (SM-T927) was Wi-Fi certified anew today, which seems to be both good news and bad news. The good news is that Samsung keeps working on this large tablet. The bad news is that it now looks as though we might have to wait until Q1 2019 for the launch of it. Just maybe. 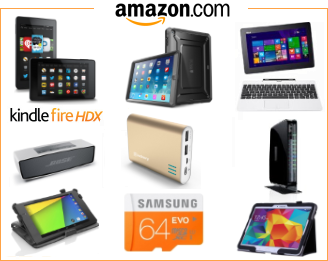 Major tablet brands have a few times launched new tablets during December before, so only Samsung knows when it will launch. This is the 3rd time that the Samsung Galaxy View 2 tablet that is rumored to shrink from 18.4-inch to 17-inch over the predecessor, have been Wi-Fi certified. What’s new in today’s official Wi-Fi certification is that this large Android 8.0 tablet was certified first as the tablet that it is, but then later today it was also Wi-Fi certified in the category of routers, more specifically as a battery powered Mobile Access Point. So that makes it fun to speculate if Samsung is adding or introducing some new features to this tablet, or if it simply means that the Samsung Galaxy View II can be used as a regular 4G hotspot. 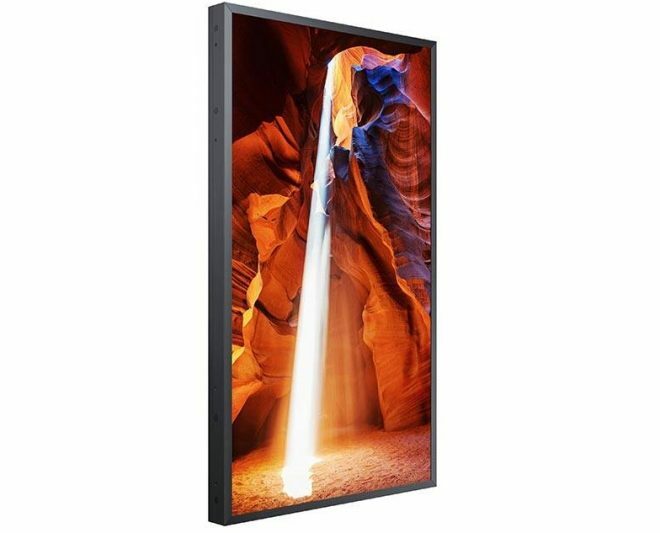 Samsung did launch a new large new 1920 x 1080 resolution 46-inch E-LED display this last week of November running their own Tizen OS, but unfortunately this is just a public display. Maximum brightness is 5000 nits though! Which is way more than even an iPad Pro.